Launched last year for the brand’s 150th anniversary, the Chopard LUC Engine One tourbillon is obviously inspired by automobile racing. 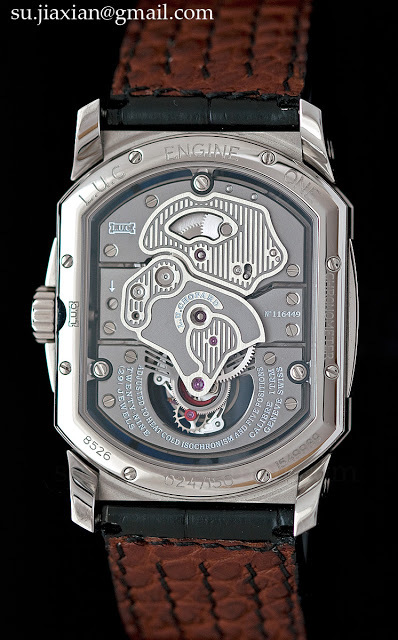 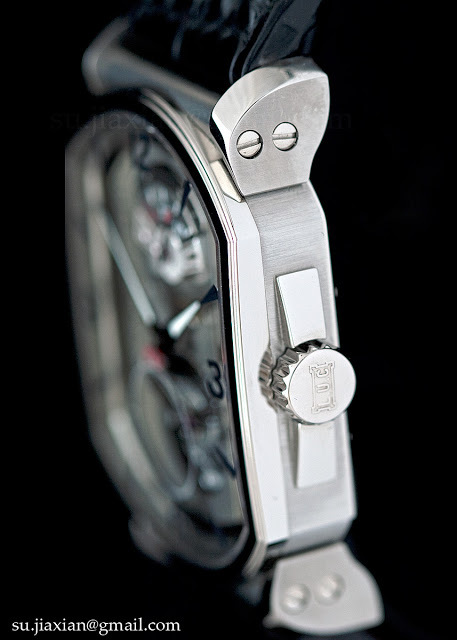 The automotive theme extends to the details: the engine block-like movement is mounted on the case by three arms with silent block shock absorbers. 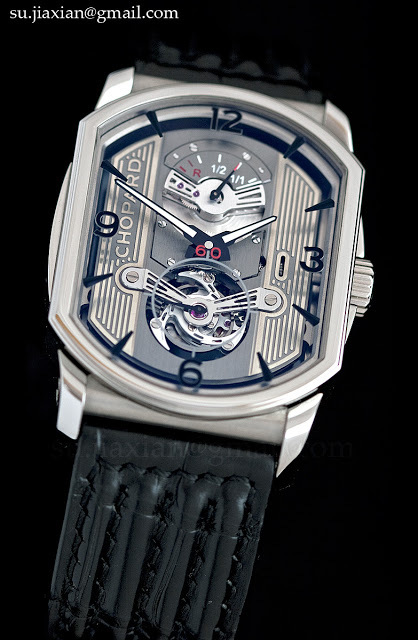 The LUC calibre 1TRM is manually wound fitted with a flying tourbilon that features Chopard’s distinctive three-armed tourbillon cage. 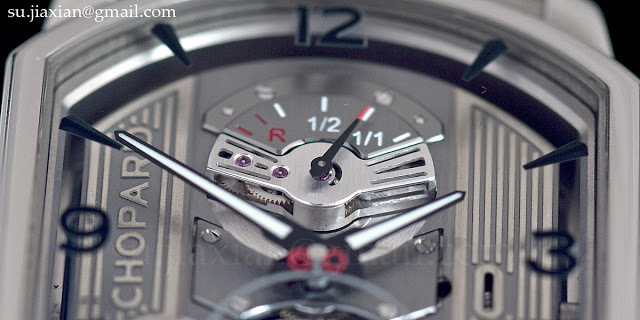 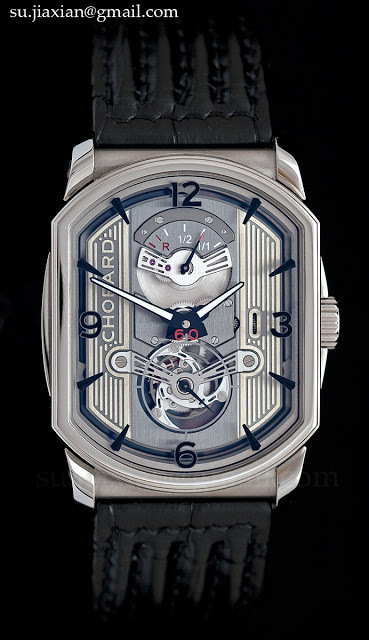 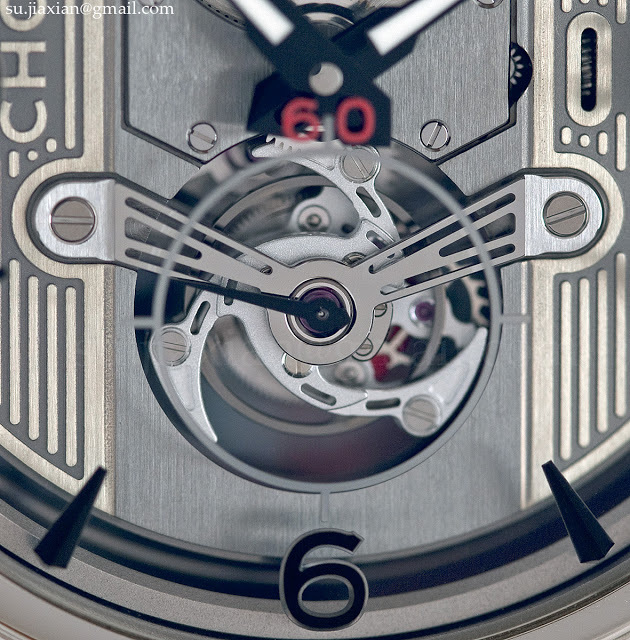 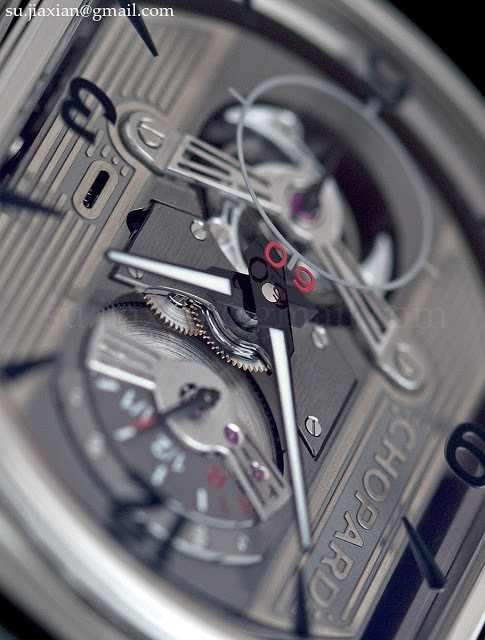 And like all Chopard tourbillons the balance wheel is the proprietary Variner (VARiable INErtia) balance. 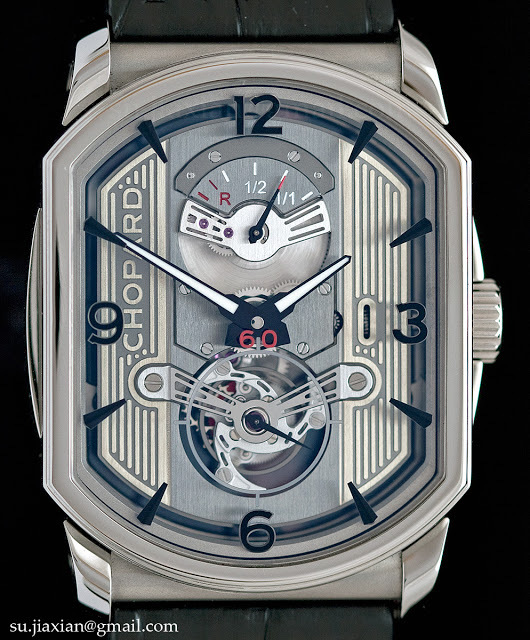 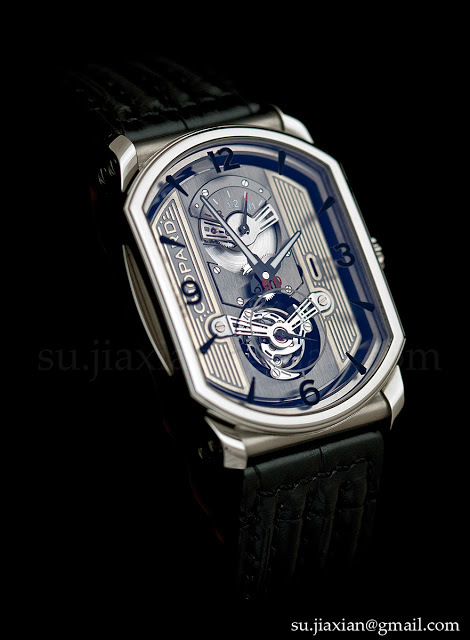 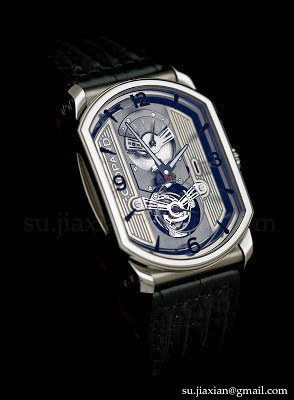 While I appreciate the quality of finish and movement construction of the Engine One, as I do with all of the upper-end Chopard LUC watches, the design strikes me as a cross between a Daniel Roth and Richard Mille. 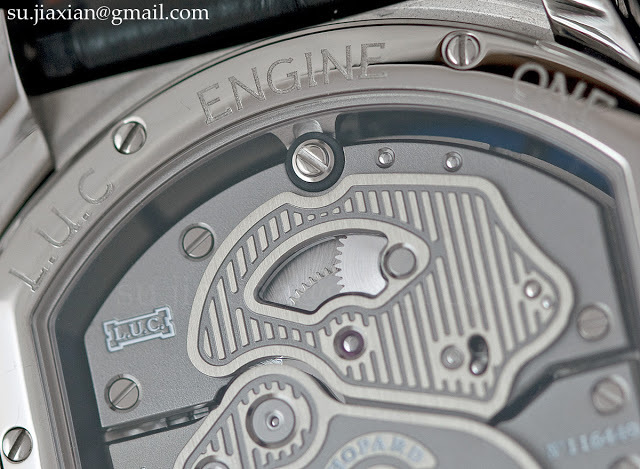 I took all photos shown here; they are not press photos.